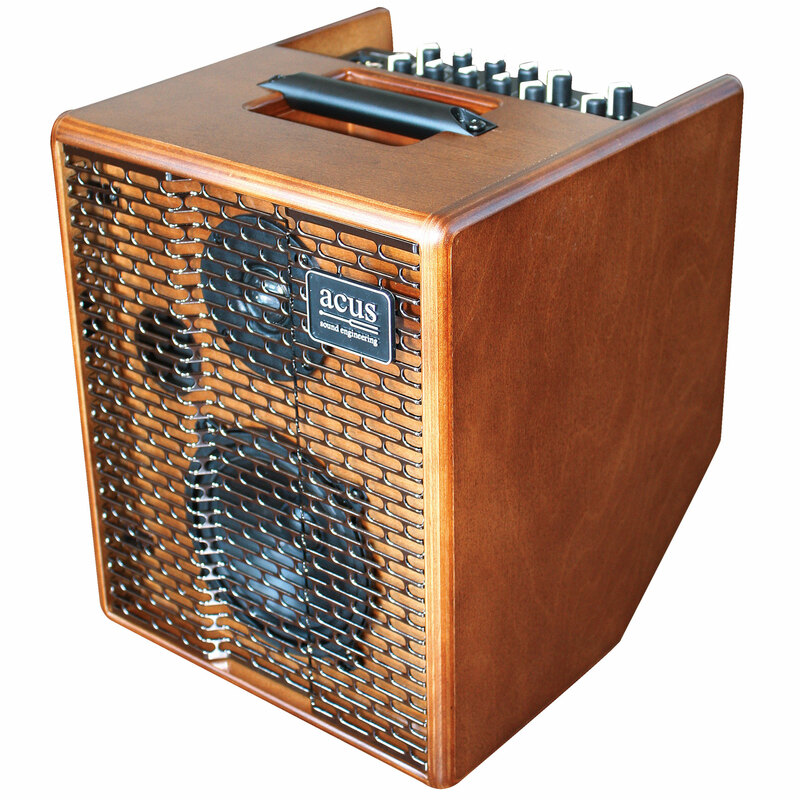 The popular Acus One 5ST is also available as a limited edition, the Simon version. 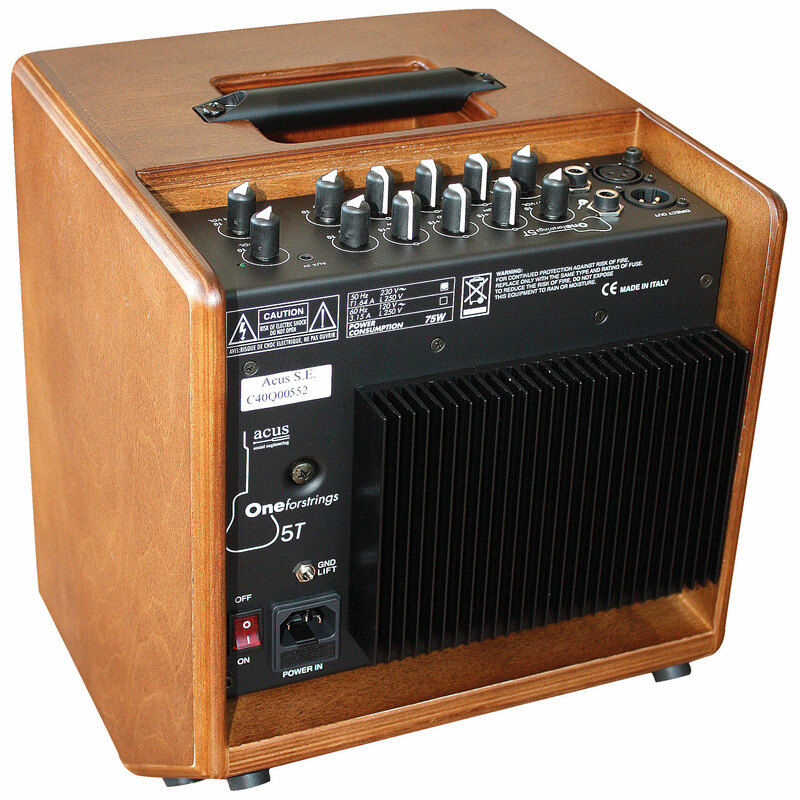 It is distinguished from the standard model by the particularly beautiful wooden case and by the wedged back so that the amp can be set up like a monitor speaker. 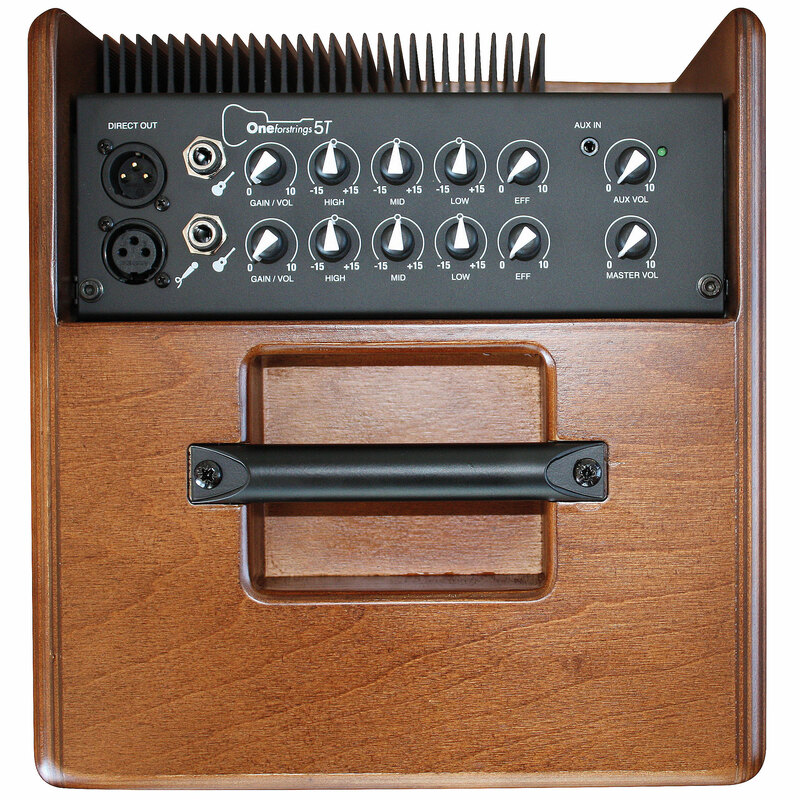 There are 2 channels with a 3-band equalisation, a controllable AUX In and a hall effect.